I hear a yell from the 2nd floor. Daddy… Ohhh Daaaaaddddyyy. My 2-year-old had just went down for the night but was stirring again. If you are a parent, you know what that moment feels like. We love our kids but it’s a big huge sigh of relief when the light goes out in their room and you have a couple of hours of freedom from the sounds only a toddler can make. Especially after a long day. Now listen, I love my kids, I’m just being real here. Don’t put me in the bad parent box or call CPS 🙂 . Silence is golden as the old saying goes right? I quickly shuffled up the stairs and made a beeline down the hall to hopefully maintain the spirit of sleepiness in his room. As the door opens and the first sight of his Thomas the Train bed comes in my view, his finger is pointing in the direction of the side panel of the bed where his mobile projector is mounted. What an assessment by a 2-year-old! Ok, so it wasn’t rocket science but I’ll be the first to tell you my kid is a genius and much smarter than me. I just happen to know more only because I’m older. Clearly he takes after my beautiful wife and I’m fine with that. The nice thing is, I’m not worried much about college tuition costs at the moment. Come on, I’m not the first dad to think his son is the next Steve Jobs. Trust me, it’s ok to dream a little in your kids, just don’t make them feel like they have to live out your dreams. When I finally confirm his diagnosis was correct, I let out a second “uhg” because that meant I would have to shuffle back down stairs and find new batteries. Of course I would have to change them out , all before having to start the whole bed night routine again. So, as I was kneeling down talking to him, I felt the impression that I was about to learn something new about faith through this discourse with my 2-year-old. Then the thought hit me! What if I could convince him to sleep without the projector? 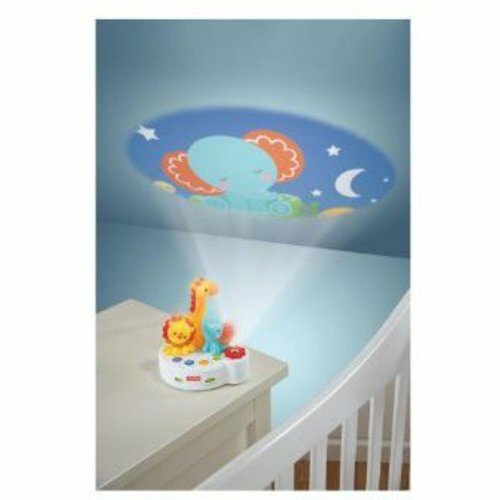 I’ve convinced my clients to buy my ideas for a living over the past 15 years, so why couldn’t I convince my 2-year-old to sleep without his animal projector? “Look at me, Daddy wants to tell you something”. Those big brown eyes looked up at me and our eyes met. I asked him, “Do you trust me?”. “Yes” he responds. “Daddy really believes that you can fall asleep without your projector. Just close your eyes. I know you can do it, I believe in you, son”. Where is the God Moment in all of this you ask? Let’s quickly look at the following text. Focus on the phrase, “and the life which I now live in the flesh I live by the faith of the Son of God”. I wasn’t asking my 2-year-old to sleep without the projector based on his faith in himself. No, I was asking him to go off of his Dad’s faith just as Jesus does with us. It’s enough that Jesus believes we can do it. 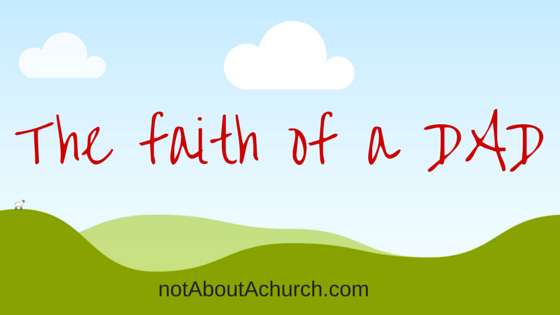 Do we have that kind of trust in Jesus to live on His faith in us? It’s not that we are super-humans but He’s placed within us exactly what we need to walk through each trial. We just simply have to believe in Him and His faith. I admit, there are times I insist that He changes the batteries if I’m really going to trust Him. But I’m learning to lean on Him a lot more than I have in the past. I hear Him say, “You can do this, I believe you can do it” just as a loving father would say to his 2-year-old. So, the next time you are in a dark place and feeling afraid, ask Jesus what He thinks about it. Don’t be surprised if you hear, “______ , I believe you can do it, just trust Me. I believe in you”. My father-in-law and I were headed to church and my son was in the backseat. We were going to meet my wife and mother-in-law there. The little negotiator in the back pipes up, “I’m going to Chuck E Cheese after church”. I laughed and responded, “Are you going alone because we’re all going to lunch after. And without hesitation he responds, “I’m going with Jesus”. Ah, to be that young again. Please share your favorite memories of the God Moments with your kids below in the reply area. Prov.3:5- Trust in the Lord with all our heart; and lean not unto thine own understanding./ Bless you my friend, if we could only practice trusting our Father more like a child. But we lean on our own understanding of how the world does things. Thank you brother for your obedience to the True Father.